These sterling silver bracelets were given to employees by Wealthpoint. These custom employee recognition awards are personalized for the person receiving them as well as “Know your story” their motto. 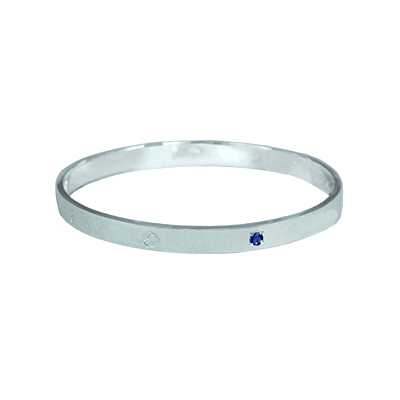 Each bracelet features sapphires and is stamped with the company logo.